Border Patrol agents conducting maritime operations along the Rio Grande rescued five Honduran nationals from drowning. 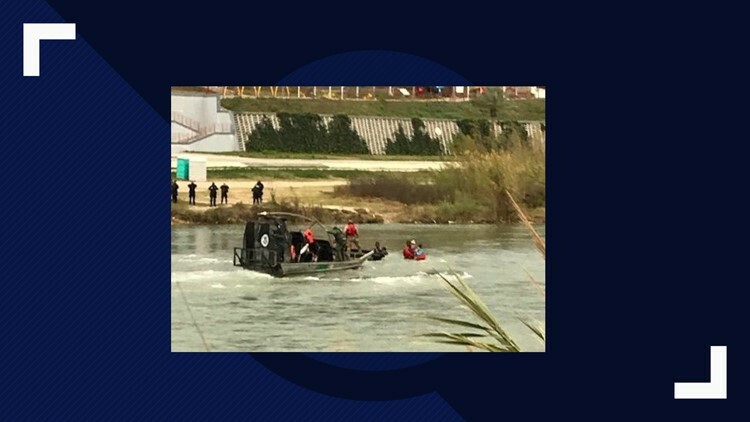 DEL RIO, Texas — U.S. Border Patrol agents working with the Border Patrol marine unit and Border Patrol Search, Trauma and Rescue Unit in Eagle Pass rescued five Honduran nationals from the Rio Grande Friday. At approximately 8 a.m. Friday, agents conducting maritime operations along the Rio Grande rescued five Honduran nationals from drowning. The subjects were observed attempting to cross the river near Camino Real International Bridge in Eagle Pass. The group consisted of three adults and two children. The adults were struggling against the current while trying to carry the children. One woman was nearly swept away by the current while carrying a child. Agents assigned to the boat units and Border Patrol Search, Trauma and Rescue responded and rescued the group. The group was evaluated by U.S. Border Patrol EMTs and offered medical treatment. They were then transported to the Eagle Pass South Station for processing, per CBP guidelines. To report suspicious activity, call the Del Rio Sector’s toll free number at 866-511-8727.